Pokemon Go is an online mobile game primarily for smartphones and it has become a huge hit among teenagers and also adults. It is available for both Android and iOS devices. The game is creating a lot of buzz around the globe and it has become one of the most addicting games ever. The craze for Pokemon Go is increasing day by day and because of this their servers are getting overloaded and started crashing at various times. The game is developed by Niantic Inc which is an American software development company located in San Francisco, California. Here in this post I will tell you about the Pokemon Go game and also provide you the Pokemon Apk for download as Pokemon Go is still not available in all countries. 1 Pokemon Game – What the Game is about? Pokemon Game – What the Game is about? Pokemon are fictional wild species of creatures that are created by a Japanese company known as The Pokemon Company. Pokemon is derived from the words Pocket Monsters. Pokemon is very popular among the kids but now even adults are also becoming their fan. There are around 729 species of Pokemon each one having their own special abilities, power and character. 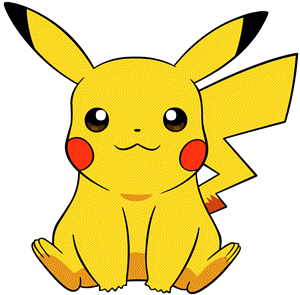 The most popular Pokemon character is Pikachu which most of you have seen in cartoons or posters. Other famous pokemon creatures include Charmander, Venusaur, Charizard, Blastoise etc. Pokemon Go is a real world adventure game for Android and iOS devices. One of the main aims of the game is to catch as many different types of Pokemon that you could. The game uses your phone GPS and Internet data to create the maps where you have to go physically to find Pokemon. Your smartphone will vibrate when there is a Pokekmon nearby. To catch the Pokemon you have to take the aim using your smartphone screen and camera and then throw the Poke Ball on the Pokemon to catch it. 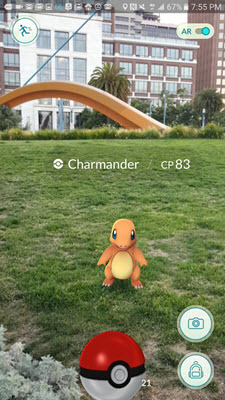 You can look for Pokestops that are located at interesting and public places such as public art installations, historical markers, and monuments where you can collect Poke Balls and other items needed in the game. There are different types of Pokemon available in the game and each one of them can be found at different places. For example you can find water Pokemon near water bodies such as lakes, beach, pier, rivers etc., in desert you will find different type of Pokemon, in grass areas you will find grass type Pokemon and so on. At PokeStops you may find Pokeman Eggs which on hatching will give you another new Pokemon. To hatch the egg you have to travel a certain distance depending on the egg. The distance can be 2 km, 5km, 20 km or so on. You can train your Pokemon in the Gym and then join a team and fight with other Pokemon in Pokemon battle. Pokemon Go is free to play but there are in-game purchases available such as lucky eggs, incense, egg incubators, lure modules, bag upgrade, poke ball pack and pokemon storage upgrade. You can buy these items to further enhance your pokemon go gaming experience and reach out more in the game. What you can do in Pokemon Go? Pokemon Go Plus is a device that you can wear it on your wrist just like watch. This device keeps your informed about the nearby Pokemon even when you are not looking at your smartphone screen. It connects to your smartphone using Bluetooth and notifies you using the LED and vibration whenever there it spots a pokemon in your surroundings. The device also vibrates and glows even when there is a PokeStop nearby. This Pokemon accessory will be available in the late of July. The button on the Pokemon Go Plus can be used to perform simple in-game actions such as catching a pokemon by throwing the Poke Ball. If you are an avid Pokemon Go fan then Pokemon Go Plus accessory is must for you. Here are the major system requirements and game requirements for Pokemon Go for Android and iOS mobile operating systems. Android Smartphone with Mediatek, Snapdragon or Kirin processors. Not compatible with smartphones with Intel Atom processors. To download Pokemon Go for Android just click on the link below. The requirements for Pokemon Go for Apple devices include iOS 8.0 and later. Pokemon Go is compatible with almost all iOS devices including iPhone, iPad and iPod touch. Pokemon Go is not available in all countries. Right now it is available for USA, Australia and New Zealand but you can download the Pokemon Go APK to directly install Pokemon Go on your Android Smartphone. 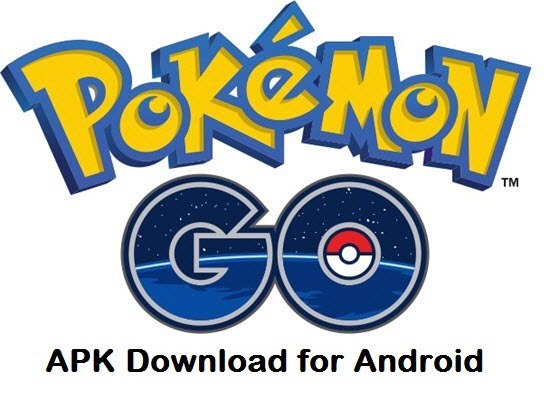 Download Pokemon Go Apk for Android devices from the link given below. The apk file is safe to download and you can use it to install Pokemon Go on your android smartphone or tablet. The download size of the pokemon apk file is around 58 MB. This Pokemon Apk is verified by Niantic, Inc and is safe to install on your android phone. To install the Pokemon Go Apk, Go to your phone security settings and turn On Unknown sources to Allow Installation of apps from sources other than the Play Store. The Pokemon APK is working for most of the users and Smsartphones but if it is not working for you then you might have to wait for another APK release or for the official availability of Pokemon Go on Google Play for your country. For now download this Pokemon APK and enjoy Pokemon Go on your Android Smartphone. Have Fun ! Update: Pokemon GO 0.29.2 apk now works with Android N or Android Nougat and Intel Atom Smartphones. Sir Good morning first of all I would like to Thanks you for useful information about trending and most popular games now a days Pokemon go.Sir I am using moto G2 it is 1 GB RAM phone Can I play this game in my phone? I think not. You need at least 2GB RAM for Android Smartphone to play Pokemon Go. This is because of the optimization of the android OS by different companies. You can upgrade your Phone OS because upgrades often contains better optimization for RAM and battery. and also which sd card is good sandisk ultra or strontium nitro both are of 32gb and UHS-1 card and same price range only sandisk is giving a adapter free . sandisk has 10 year waranty and strontium has lifetime waranty . i like strontium if i am wrong please tell me which one is good under 600 32gb . No these are the best ones under 600 rs.